Let me say, before I start, this article deals with my personal views and does not represent the views of any other lawyer nor yet of my own (unashamedly brilliant) law firm, Stapleton & Son. Winston Churchill (allegedly) said "Democracy is the worst form of government, except for all the others". If you have not been living under a rock (probably on a different planet) you may have noticed there is a thing going on at the moment called BREXIT*. The government ran a referendum to refer the difficult question of whether we should "Leave" the European Union or "Remain" a member of it. 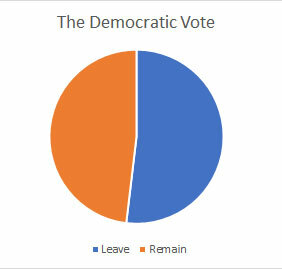 The result of this democratic process was that 16,141,241 people cast their votes to show they wanted to stay members of the EU but since 17,410,742 people voted to leave the EU all flavours of politicians have subordinated their personal views to "the will of the People". My difficulty with this form of democracy is that with such a close vote, 52% to 48% in round terms, the deciding margin was less than 1.3 million people, changing the shape of our country (all the rest simply cancel each other out). Now 1.3 million people is a lot of people but our current population is about 66.02 million (last census figures from 2017) - and OK a lot of those people fall into categories who do not get a vote (too young, too imprisoned, too disenchanted with politics etc.) but it still seems to me to be wrong that less than 2% of the overall population is the deciding voting population that makes a change which is so fundamental and will affect the entire population of our country. I have a few issues with politicians who stand behind the referendum vote insist on saying they are now, and must respect the "will of the people" - as a lawyer this should surely be "the will of a bare majority of the people", if for no other reason than to stay the right side of the trade descriptions act. If 17 plus million people want to leave the EU why is that such an important and to be respected mandate, when 16 million people voted to remain? The underlying problem, of course, is the "first past the post" interpretation of democracy. Not "the will of the people", which implies a general will but the voice of the people - not necessarily the same thing at all. Given that the majority of centre votes for either side of a binary issue tend to cancel each other out - interestingly removing their direct democratic involvement in the outcome - the remainder tend to be from the shouty extremes, which, in my humble opinion, is not a great way to develop a strategy dictating the future of the country. Referendums are peculiar animals. Even the definitions vary pretty widely between single issue matters being referred to an entire electorate for their opinion to a legally binding "decision of the people" - akin to a plebiscite. Whatever the process or intent the usual use of a referendum is to try and find a way forward when the "normal" political process either has, or would, stall if asked to decide the question through usual channels. For the record I am not impressed with the outcome of the last referendum - but I am not at all sure holding another one will do anything to improve matters - the simple God's honest truth is about half of us like to be European and the other half don't and our views are so strongly held and defended the country is busy tearing itself apart and I predict that whatever the outcome is - in, out or somewhere in between roughly half of the population will be unhappy with the result - unless of course we can achieve unity again by finding a solution which leaves both sides equally dissatisfied? So you've taken the plunge and decided to move. You've looked at the local area to find out which agents are selling well and finally met up with someone in a shiny suit to sign up for a sale of your property. At some point in this process you will be offered an incentive to use the agent's in-house conveyancers who are always "much better for you, quicker and all under one roof so you will get a far better experience from your sale" - you may even be told that if you want to use a previous trusted Solicitor or similar that an additional fee will have to be levied to cover the enhanced costs of dealing with an outsider. The vast majority of agents who tell you this are simply lying. Firstly why should you have to pay the agent more to use a previous trusted solicitor - what additional costs do they incur? Secondly, they almost certainly do not have "their own" in-house conveyancers - nor will the process be quicker or cheaper. What they have is a cosy and usually undisclosed arrangement with a volume conveyancer - often many miles away - where the agent gets paid for introducing your business to the conveyancers. In some cases the "in-house" arrangement uses sophisticated technology to brand a "white label" service with the agent's name - the same bulk conveyancer will be working for several different agencies and all of them are selling their services as "their" in-house conveyancing team. Some volume conveyancers will do a great job for you - but their whole model is geared to dealing with a large volume of similar business efficiently (after all a significant proportion of their fixed fee is really paid to the selling agent for sourcing the business, so there isn't much left to fund quality staff or bespoke dealing). If your transaction is entirely uncomplicated it may be handled perfectly adequately by a largely automated process, but as soon as something abnormal crops up, watch out for additional charges, which you will have been warned about in the small print of the standard paperwork you will receive from a bulk conveyancer. Volume conveyancers will always make sure they have complied wih any necessary regulatory issues, so if things go wrong you won't have a leg to stand on. In a recent transaction we noted there was a need to deal with a common issue and a "rider" had to be added to the contract. We put this forward as a half-dozen lines of text - with no additional charge. The volume conveyancer acting for the sellers demanded an aditional £100 plus VAT from their clients as a fixed fee to deal with this. If you are getting a hard-sell from your agents recommending their in-house lawyers - ask them where they are based, will you be able to go and sit down with anyone if any of the paperwork gets tricky and, crucially, what do they get for recommending them. For traditional highly-skilled and genuine personal service for your domestic conveyancing from our fully-qualified solicitors please contact Robin Dickinson; Jo O'Hara; James Buxton or Nick Fluck via our contacts links. Lasting Powers of Attorney - do you need one? We see a lot of clients who have been advised (sometimes elsewhere) to make Lasting Powers of Attorney ("LPA"). Generally speaking most clients do not clearly understand why this is a sensible thing to do so this article sets out to look at the pros and cons. Firstly, what is an LPA? This is the modern form of an Enduring Power of Attorney - in those the power "endured" regardless of the mental or physical state of the person who set it up (usually called the "donor" (Latin for "giver")) as a Power of Attorney is usually "given" by the donor to their trusted stand-in or attorney. In just the same way as Enduring Powers of Attorney continued to be applicable even after the donor lost capacity the "Lasting" in lasting powers of attorney means that the powers granted by the donor to the attorney "last" in the same circumstances. Just to make this a little clearer - there are also "ordinary" powers of attorney - these neither endure nor last - if the donor loses capacity the power of attorney can no longer be used as the power to use it is an extension to the powers of the original donor - so, if they can no longer act, neither can their attorney. LPA for property and financial affairs - these allow the attorney to make decisions and deal with the property and finances of the donor. LPA for health and welfare - these allow the attorney to make decisions about health care (including agreeing to or refusing life sustaining treatment, if the donor wishes them to have these powers) and welfare generally. Why should I / shouldn't I make one? The vast majority of people will be fortunate and will retain mental and physical capacity to make their own decisions and sign their own documents for their whole life. However each step forward in medical care makes it more likely that an increasing number of us will lose the capacity to manage our own affairs - and for those folk having a trusted appointed attorney may be vital. For many purposes the LPA may take effect as though it were a Will but allowing your attorney to deal with your affairs during your lifetime, rather than allowing your executors to deal with them after your death. If you have any concerns about what would happen if you were to lose capacity then you should certainly consider making an LPA. The real difficulty is that the LPA is not something which can be set up in a few minutes. The forms do not take long to complete but registering the power with the Office of the Public Guardian (a necessary first step before the power is valid) currently takes 8-10 weeks - not conducive to urgent decision-making - and this is probably the most important reason for making an LPA when you don't have any urgent need to. An LPA does not usually give attorneys any powers to benefit themselves - the entire regime is set up on the basis that decisions made by an attorney must be made in the best interests of the donor - this sometimes leads to some serious difficulties - for example if one of a married couple becomes unwell and cannot any longer manage their own affairs it may seem logical that their half share in the matrimonial home might be passed to their children - after all if they are in a home they no longer need it and it would be better for their financial interest in the property not to still be in their hands if questions about their ability to pay fees may arise - but would the actions of the attorneys deciding to transfer the patient's property share be legal? Regardless of LPA - most healthcare decisions are taken on the basis of perceived medical need - doctors admitting someone to hospital in a distressed or confused state will tend to treat the symptoms first and may have no idea whether there is an LPA giving a third party the right to be involved in health care decisions. So who should I appoint? If you have a trusted next generation appointing someone who is younger and fitter but who has your interests at heart is usually a good bet. There are rapacious children who would conspire to do their parent down - but they are fortunately very rare. How should I appoint my attorney(s)? I think the commonest mistake most people make when constructing their own LPA is to appoint more than one attorney but to then specify that they must act "Jointly" - if you have three attorneys and all of them are appointed jointly then if any one of them dies, is unavailable, or declines to act, their individual action (or inaction) means that no other attorney can carry out your wishes as you said they could only do this if they acted "jointly". It is far better to opt for "jointly and severally" which basically means your attorneys can act alone or together - this means any of your attorneys can make decisions for you even if the others are away, unwell or perhaps even dead. Many folk get very exercised about whether or not they should impose restrictions or conditions upon what their attorney(s) can do. For example some people regard their home as so important that their attorneys should not be allowed to consider selling it unless they are unanimous - or unless a doctor certifies that they have lost capacity. My own view is that rather than imposing restrictions on what the attorneys can do it is usually better to choose an attorney whose judgement you trust and who you know will look after you as a priority. We are always happy to help clients consider Lasting Powers of Attorney - please contact our Julia Thompson or Nick Fluck via our contacts pages for more details. I don't often digress into sentimental memorabilia but on this occasion I'm going to. 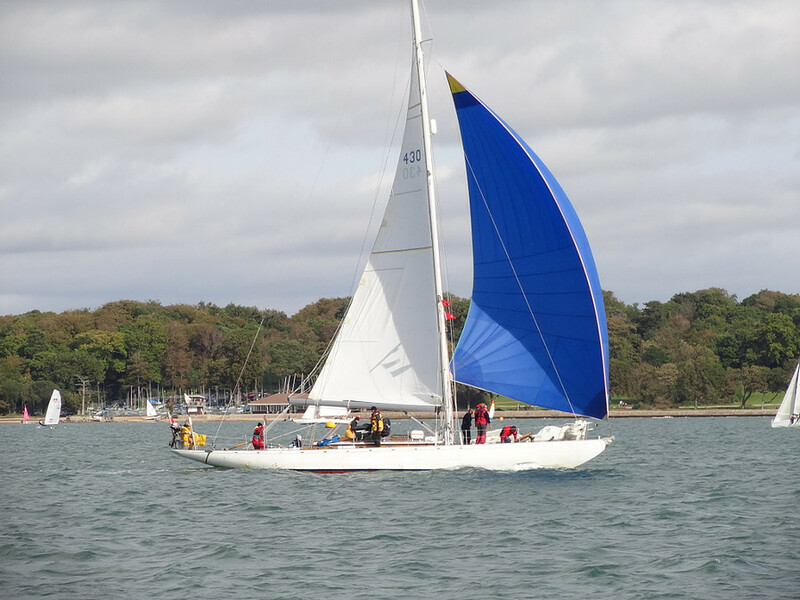 I discovered quite by chance recently that the classic yacht my late father was occasionally privileged to sail whilst still a soldier is still going strong and is at sea for up to 150 days a year. Overlord (originally "Pelikan") was one of those things the British Army picked up in our last Brentry negotiations - she is truly magnificent - a "hundred square meter" yacht (size of the canvas she spreads). If anyone reading this has sailed in her I would love to hear about the experience. Oh and if you took the picture I would love to attribute this to you but do not have your details. Do please contact me via our contacts link and form.